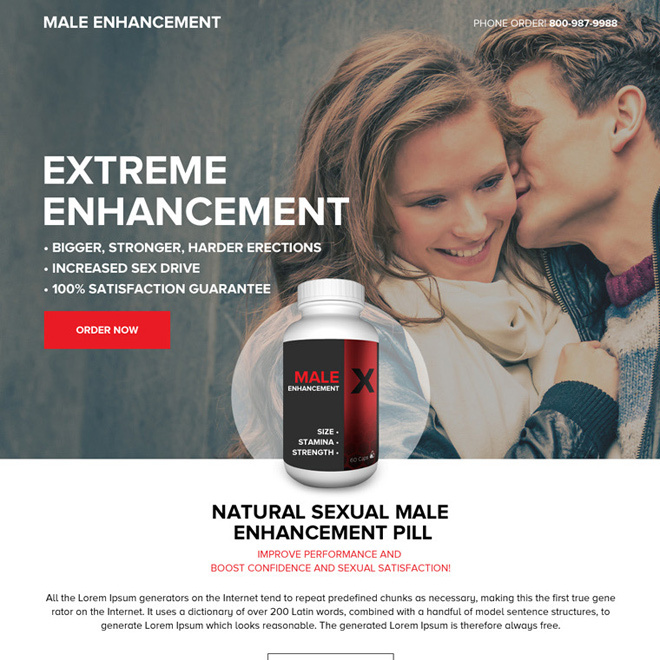 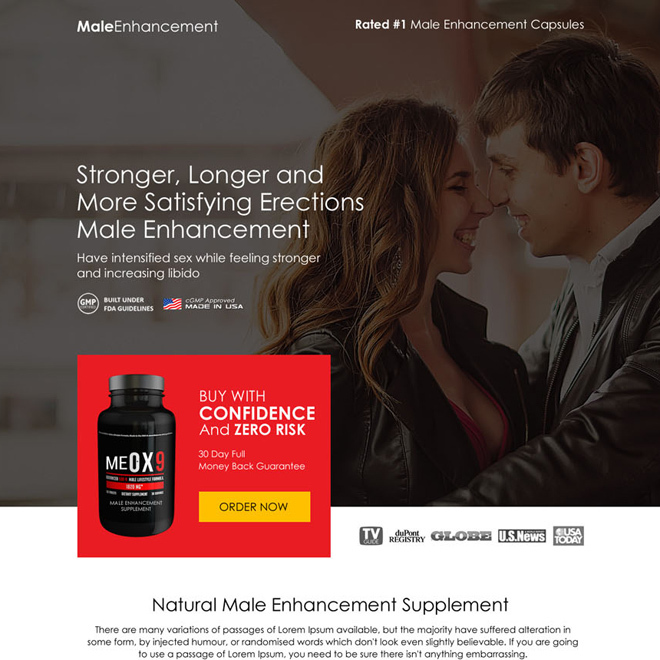 Boost sales of your male enhancement product with our converting male enhancement responsive landing page design by promoting your product online and capturing leads for your business. 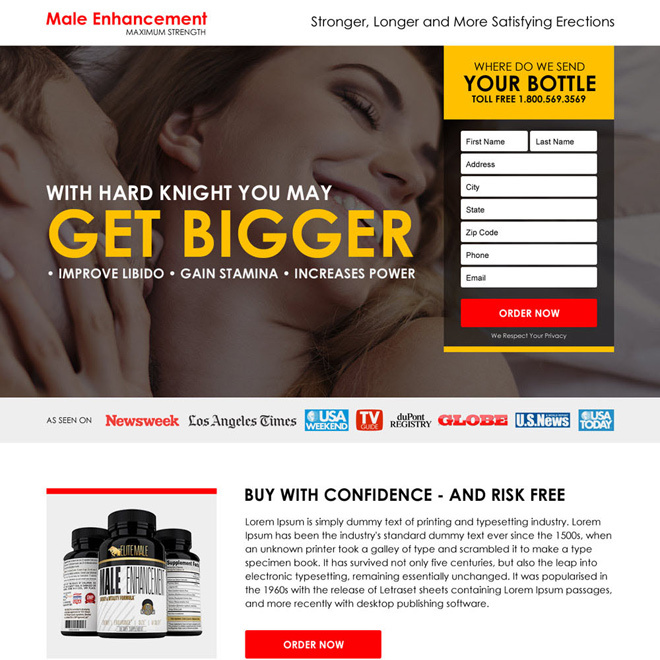 Our clean, creative and flat responsive landing page design will give you maximum traffic, sales and conversion in your online marketing campaign. 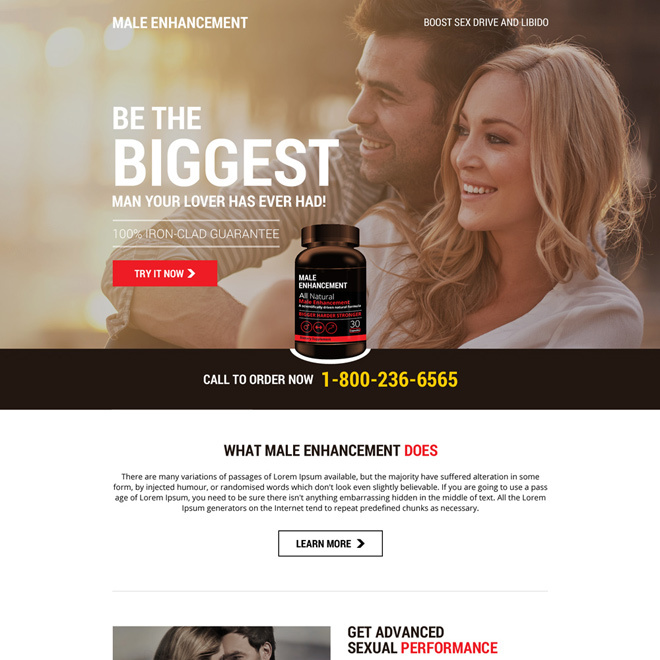 Download responsive male enhancement landing page design to maximize your product sales.